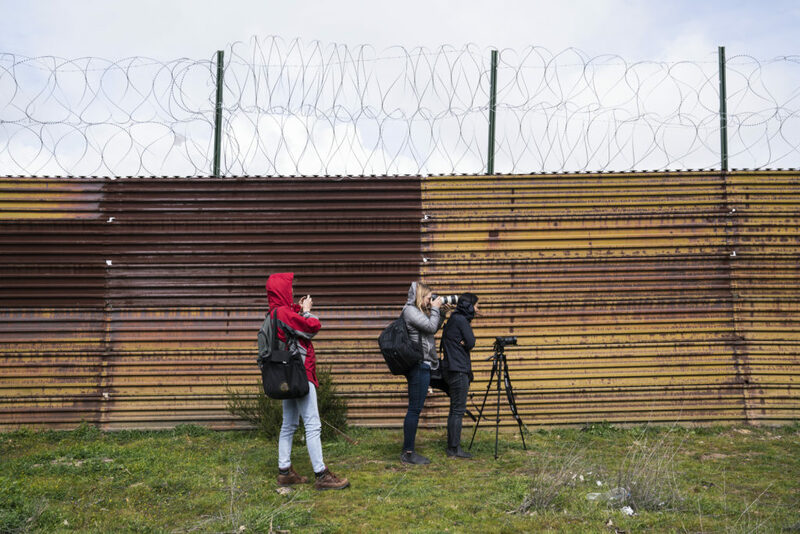 I had never felt so safe while reporting until I traveled with the International Women’s Media Foundation team as part of the Adelante Reporting Fellowship along the U.S.-Mexico border. Their security advisors always made sure that wherever we went, we were safe. We also had the opportunity to interview people that without the advisors, it would have been very difficult to do so as a freelancer. The whole team was always very supportive and we had daily meetings to talk about our projects. The IWMF always made sure that we got what we needed for our reporting while still being safe. We went to areas that would have been very dangerous to access without the help from the federal police. As a freelance photojournalist, I feel that the Adelante Reporting Fellowship gives us the opportunity to do the reporting that would be very difficult to do without the support from a major publication. A Federal Police agent walks back to his vehicle after accompanying us to different parts along the border wall in Tijuana to make sure we were safe. 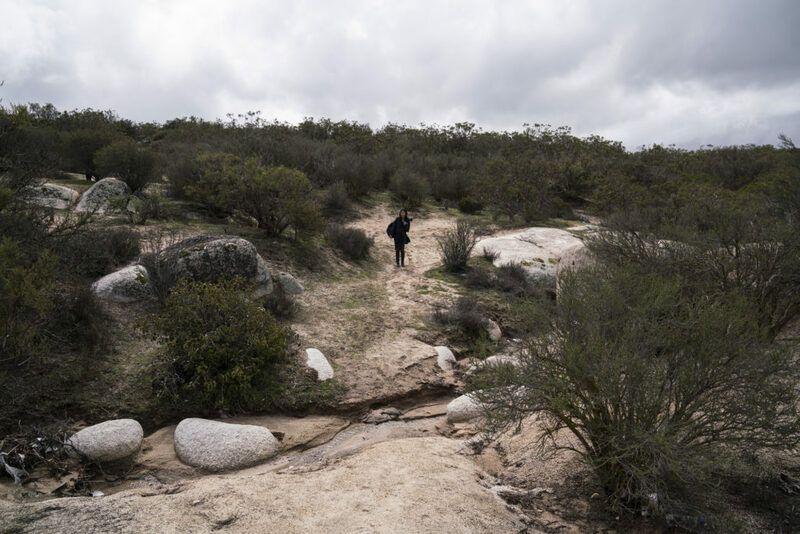 Corinne Chin looks for objects to photograph near the U.S.-Mexico border. 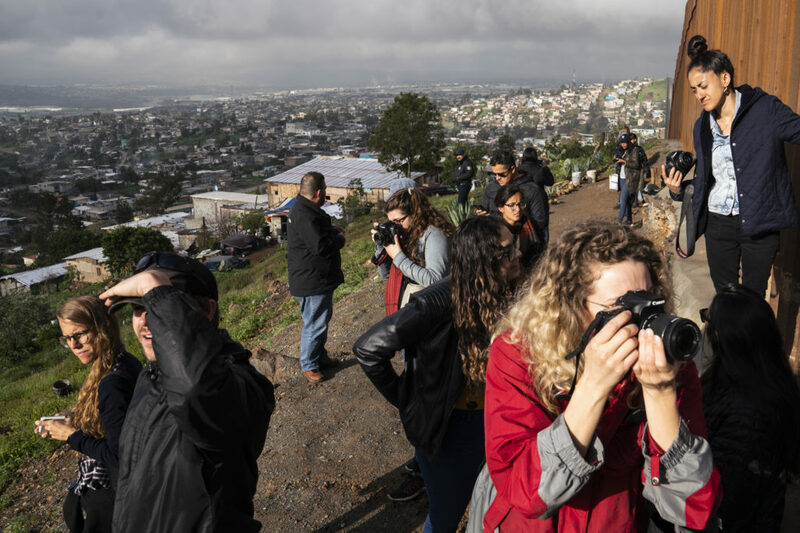 Adelante Fellows photograph the old border wall in Tijuana. 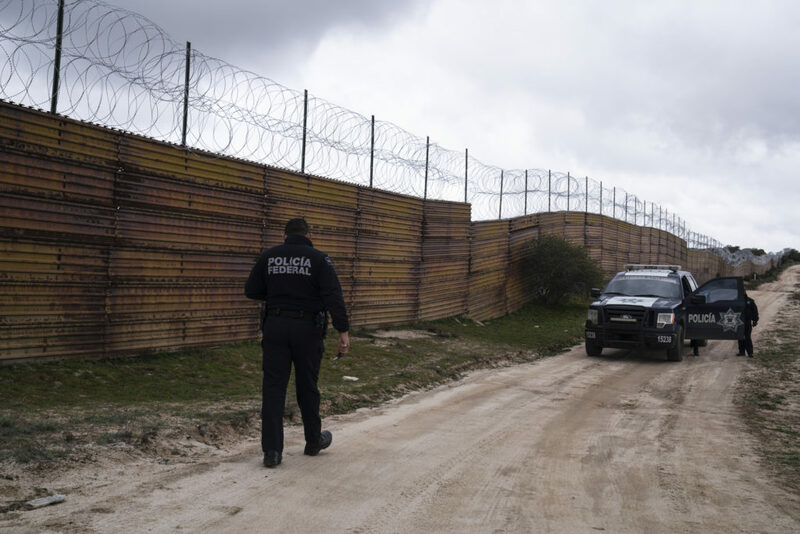 Adelante Fellows photograph Federal Police and Border Patrol agents in the U.S.-Mexico border in Tijuana.